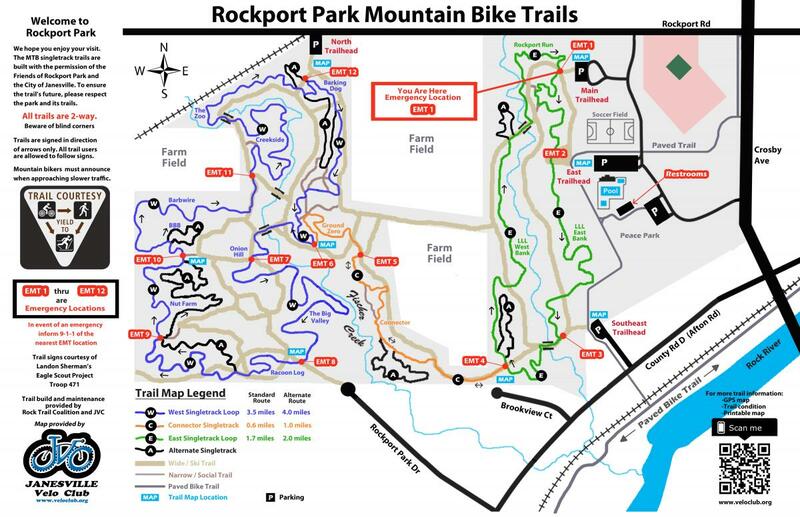 Rockport park has a network of singletrack trails built around wide cross country ski trails which are groomed ski trails only during the winter season. New signage was installed in 2018 as part of an Eagle Scout project. There are two main loops (West & East) and a connector trail that joins them. Plus there are several alternative trails to lengthen your ride. The single track trails have directional arrows for bikers and hikers to follow. So just jump on the first one you see and explore the trail system. From the Main Trail Head off the circle parking lot, there is a trail that crosses the wide cross country ski trail just a few yards down the path. Follow the arrows. The path makes a loop and connects to other trails. Most of it is bench cuts on fairly steep hill sides around the streams in the area. It's generally not to difficult technically but there are some climbs and descents. Very nice trail system. Enjoy your ride. Review: Trails were really good today. Nice grip perfect weather. A few looked freshly cleaned up. 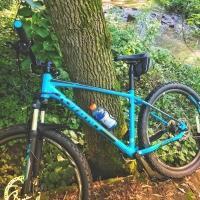 Review: Great set of local trails. Pretty well maintained. I've been learning some good stuff here. Review: My first time here I met allot of great people. The trails where well marked and were allot of fun. Review: Rockport is pretty cool. It took me a bit of exploring to realize how much is out there. plenty for a day of riding. It's all built around the cross country so there's some riding around connectors involved. Rockport Park MTB MTB Trail 4.20 out of 5 based on 5 ratings. 5 user reviews.